My Favorite: It's always a treat to get a glimpse of a Peregrine Falcon. I've had plenty of "glimpses" over the years! Most often it's been during spring migration, when I've been taking photos of shorebirds, and a blur buzzes through and scatters every bird in site. 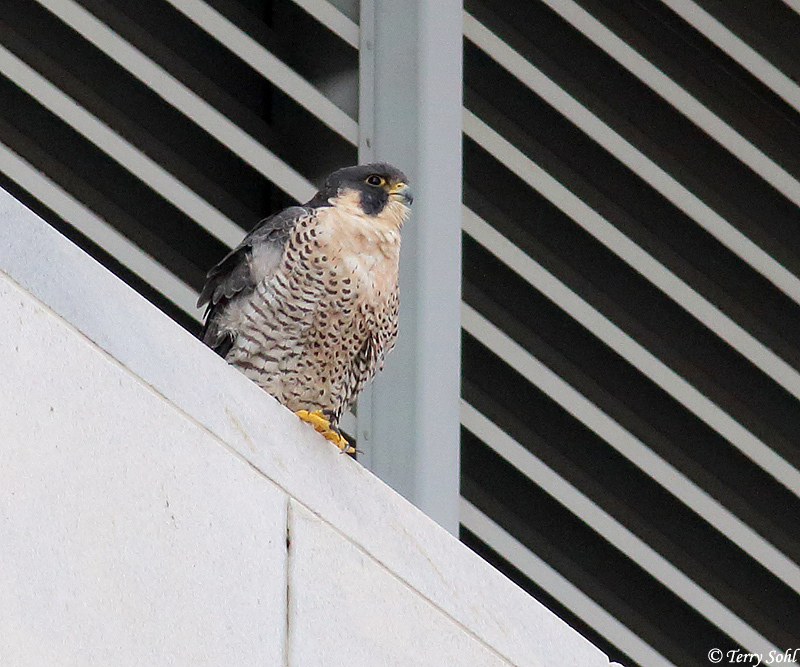 But a Peregrine Falcon that's sitting still? And in range of a camera? I just haven't had the opportunity. 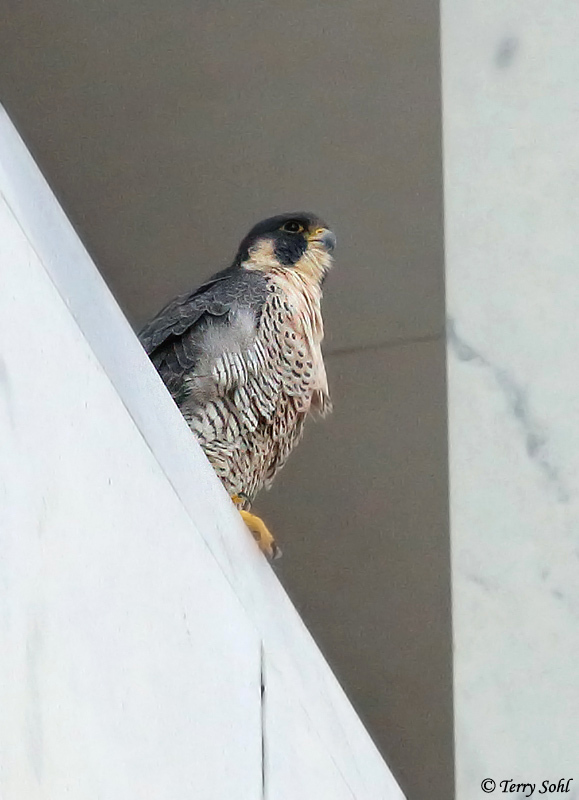 The photos below aren't the greatest, as they're from a good distance, but downtown Sioux Falls is probably the best place to find a Peregrine Falcon. They like to use the "tall" buildings (not many in South Dakota) as lookout perches, a place they can use to scout the surrounding landscape for pigeons and other potential prey. 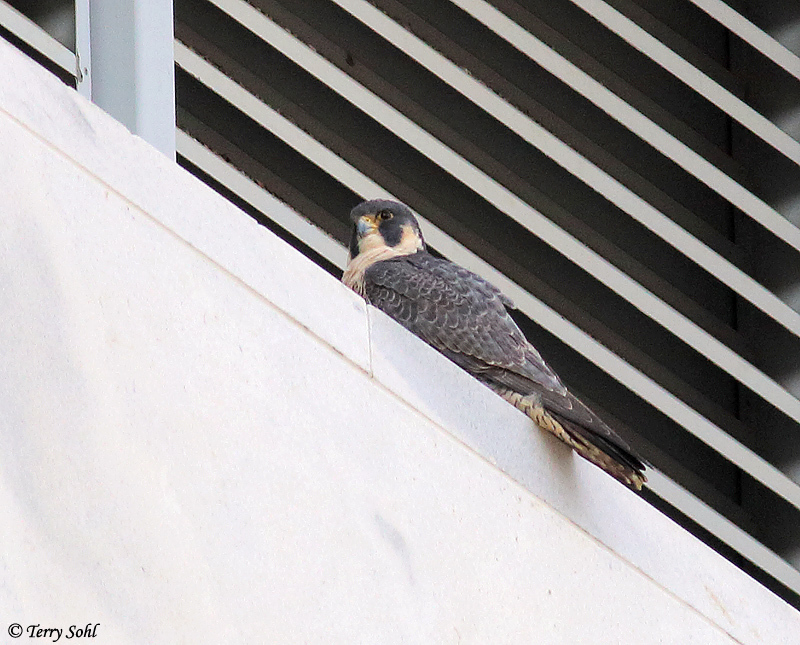 This is of a Peregrine Falcon sitting on the U.S. Bank building in downtown Sioux Falls on May 8th, 2018. 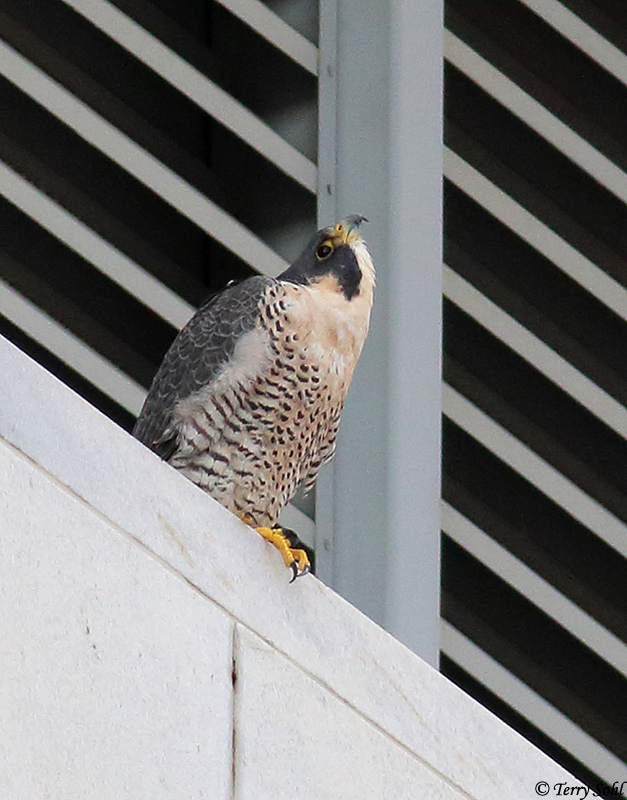 Click here for the species description page for the Peregrine Falcon.